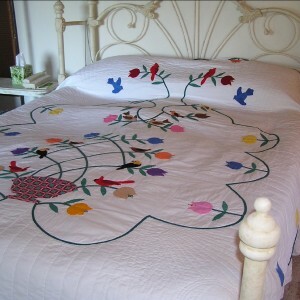 This quilt was started in the 1930's and was passed from hand to hand until it reached my hands. Most pieces were cut and some were assembled with not quite enough fabric to finish. 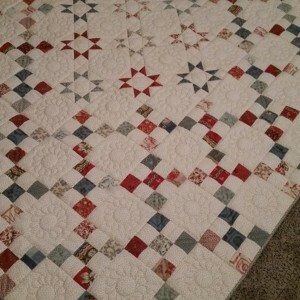 I searched for more original 30's and finished the quilt using a reprint for the border. The pattern is called Hummingbird. Esther was an older adult in a quilting group at our local senior center in Oregon, IL. 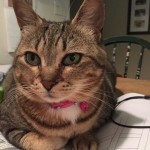 She was in her mid eighties when I became the recreation coordinator for the older adults. She and others in the group were determined I would be a quilter and they did eventually succeed. This quilt project was given to Esther's mother in a small box, passed on to Esther's sister, then to a cousin before coming to rest in Esther's project closet. She gifted me with the box and I was able to finish it before Esther passed away in her late nineties. 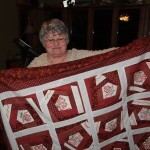 The gift came with lots of love and years of encouragement with much more in life than just quilting. 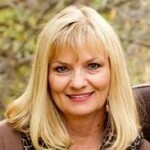 God gives me a special blessing in the hours spent with other quilters. I love rescuing UFO's (un-finished objects) thinking of the hands and hearts that started something so very special. Happy quilting. Another rescue quilt...I seem to be a magnet for others UFO boxes or bags. This top I feel certain was a kit and living where we do I would guess it could have come from Lee Wards in the 1950's. The previous owner had done the embroidery on the birds and pinned scrutiny in place. 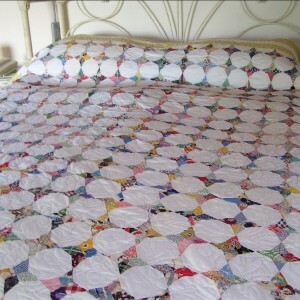 The quilt top was then stopped in a damp basement with the steel pins still in the cloth. When given to me it had today marks and some brown straining from the paper in which it was wrapped. Lots of lemon juice, sunlight, diluted bleach and removed most of the damage. I then sought the help of another mentor among the group of quilters at the local senior center to learn how to applique the pieces in place. Several years and I am sure millions of stitches the top was finished. 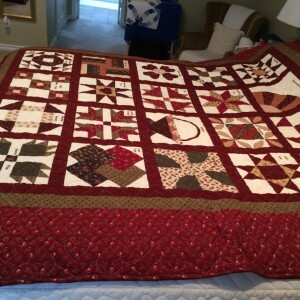 The quilts at Rock River Center agreed to hand quilt my treasure and I had opportunity to stitch on it once I in awhile. This one is very special to me. 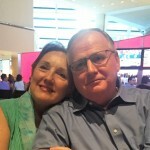 50th anniversary gift for some dear friends. I added the stars in the middle because I thought the Irish chain was too boring. 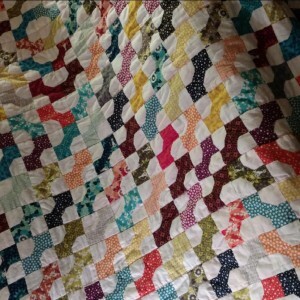 This quilt was given to my daughter by a mutual friend of ours. We have a special relationship with this woman so the quilt means a great deal to our family. 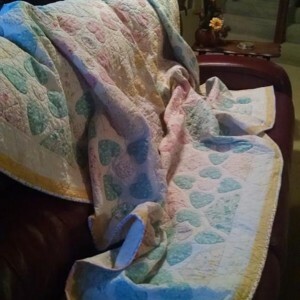 This quilt had been in her family for many years and was made by her mother. It had been loved and used so was in need of repair. After I made the repairs it went home with my daughter and now is loved by her family especially her granddaughter. This sampler quilt is made from a book I found in my late mother in law's things. Making one block at a time and having to make templates, etc. was very time consuming. I like the way it turned out though. I embroidered the name of each block. Christmas gift for my hubby in memory of his mom. I made this for my husband.